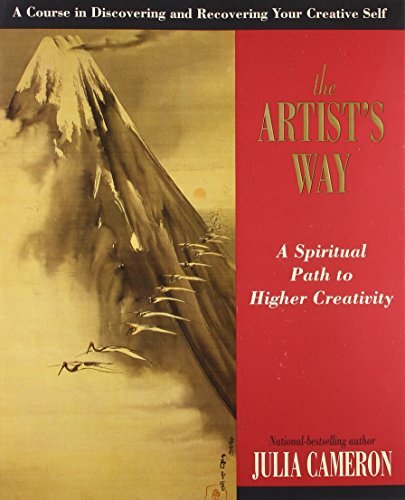 I'm a huge fan of The Artist's Way by Julia Cameron. I've been using her tools since grad school, and I can't say enough about how much they've helped me. One of those tools is Morning Pages, which is about 30 minutes of putting stream-of-consciousness thought on paper first thing in the morning. No editing. No judgement. Just writing down whatever's on your mind. Morning Pages are for you and you alone. I was surprised by how helpful Morning Pages were when I first started using them. There was less mental chatter and clutter. I was better able to focus on the important things in my day. I could better separate the Censor from helpful thoughts. I was less stressed. I got more done. I got past hurdles that had been present for a long time, many of which hadn't been obvious to me until I started doing the Pages. This past year, as I read researcher Brené Brown's book Daring Greatly, I constantly ran into data that strongly supported what I had been doing with Cameron's tools. Though Brown has a different name for The Censor ("Shame Gremlins"), she confirms that those voices are paralyzing to our artistic work, and their weapon of choice is shame. Shame doesn't want us to connect with our truth, and it doesn't want us to connect with people. This is toxic to great art, which is all about connecting with people. Shame tells us that we're alone, that we deserve to be alone, and that no one wants to hear what we have to say. When The Censor creeps in, it tells us we need to either hide, run away, or put up our defenses...anything besides just being present and vulnerable. I think a quick summary of shame vs. guilt is necessary here for those of you who haven't read Brown's research and may feel that shaming is good for us. Research says otherwise. Guilt is good for us. Shame is not. Our bodies and minds process shame differently than guilt. When we've done something that wasn't so great, the Censor/Shame Gremlins tell us we're inherently bad and unworthy of human connection. In contrast, the more rational Voice of Guilt tells us we did something bad, but that we're still worthy of connection. The difference is immense. Shame makes us want to hide or deny what we did so we don't lose the human connection we all need. Guilt allows us to take responsibility, apologize, and change behavior because we believe human connection will still be there when we do, and will likely be even stronger as a result. While I use many physical tools to help people with technical elements like volume, tone, movement, tension, balance, and alignment, I have found that shame is a wall that I can rarely break through with vocal exercises. In fact, as soon as an exercise I've created begins to deal with an area that has shame surrounding it, the student's body will often go into the fight-or-flight-or-hide mode. It's a tightrope act to guide a student through those moments. I take cues from the body and voice to determine whether the student is ready to experience a release from whatever is holding them back. Sometimes they are. Sometimes they're not. When they're not, the technical issue will often get worse or the student will shut down, in which case I know it's time to change focus. Once a student has started addressing the shame around that area/issue, gentle exercises will lead to a much-needed release in the body and sound rather than shutting down or armoring. Breaking through shame requires breaking our silence, and that's ultimately up to the student. As Brown says, "Shame thrives in secrecy." Twelve step programs have often said, "You're only as sick as your secrets." Research is proving this to be true. 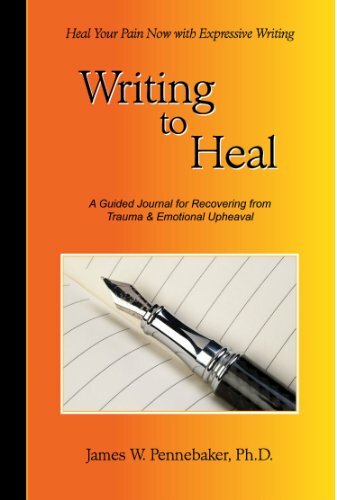 In fact, it's showing that keeping it hidden can actually be more damaging than the trauma that initially triggered it. 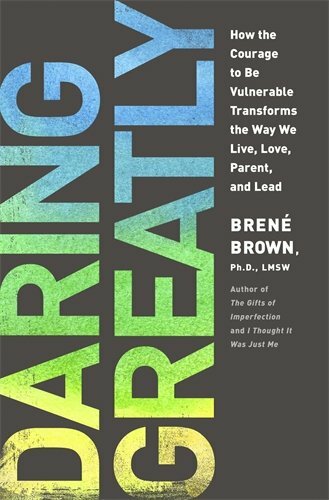 Thankfully, the data also shows that people who break their silence about trauma and shame experience improved physical health, decreased doctor's visits, and significant decreases in stress hormones (Brown, Daring Greatly, p. 82). So what do Morning Pages have to do with all of this? Well, writing can be a great way for students to work through their thoughts and feelings outside of lessons. Connecting with others is exactly what we do as artists, and when our shame gets in the way of connection, our artistry is muffled. Morning Pages (or whatever you prefer to call them) are a way to begin to break the silence of our shame and release a fuller experience in our artistry, and they are a great way to do that privately. I also highly recommend reading Cameron and Brown's books for working through shame issues. The books contain many other very helpful tools, as well. Finally, I believe it's important to say that while I think Morning Pages and books like these are a great place to start, I believe that finding a good, trusted therapist is extremely important if you're going to make good art. If you're thinking, "I don't need a therapist. I not crazy," please know that just like trauma and shame, therapy isn't just for people who've been through extreme experiences. We all need an unbiased guide who has a bird's eye view on our journey, who can support us when we're terrified of feeling our emotions, and with whom we can celebrate when we emerge on the other side. Have you experienced beneficial effects in your life and art from Morning Pages / Journaling / Writing? I'd love to hear about them in the comments.